The 8 volumes do, in fact, come in 2 slipcases, and mine is surprisingly sturdy. 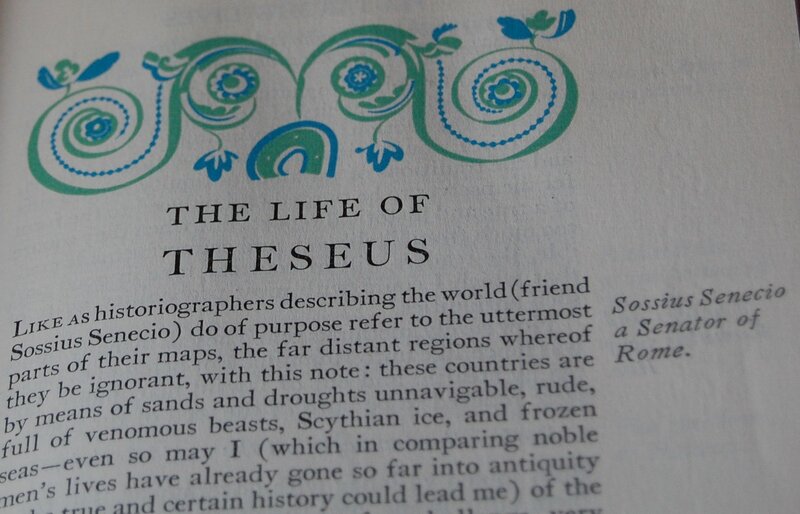 It’s a beautiful set, and I love the colorful ornamentation, but I actually read the Heritage edition more frequently. For one thing, I like the portraits of the famous Greeks and Romans which T.L. 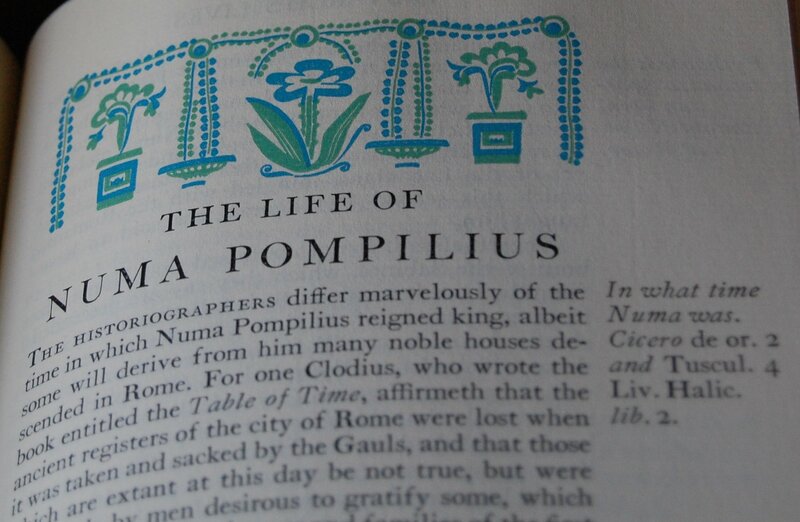 Polton had done for the Nonesuch edition of Plutarch and which Heritage reused. Secondly, and I’m sure this will raise some hackles, the Heritage edition is a selection (albeit a generous one) of the Complete Lives, and this is very convenient. That’s curious about the slipcases, as I could have sworn the set I saw only had one. The library naturally had thrown theirs out, so I’ll have to hope the next time I visit that shop I can doublecheck. Thanks for pointing out some differences in the Heritage edition. I haven’t taken a look at them in comparison, but it definitely sounds like I need to do that. I’ll mention these in the post. Thanks again, Robert! My father-in-law gave me his set but there is no slipcover. They look exactly like the photos but I cannot find any edition number or signatures. Was there a “special run” of 1500 and then a general printing for the masses? 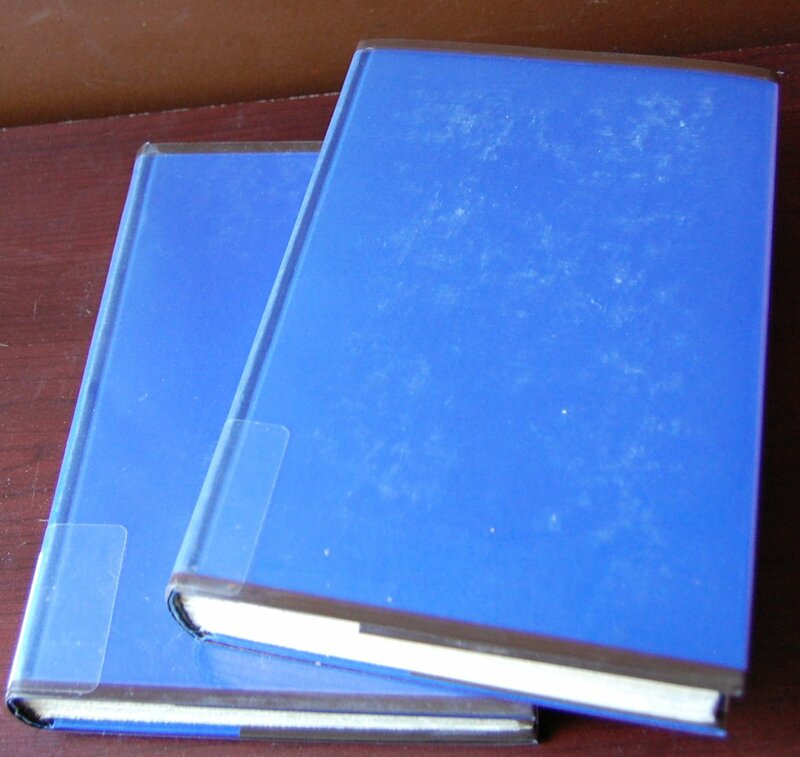 If you have a set that looks just like this but lacks the edition number or a signature, odds are good you have one of the 50 or so special sets Macy produced for production purposes, friends of the family/press, or contributors to that particular book. The Heritage Press reprint (the one for the masses) I’ve seen looks radically different. It is two volumes instead of eight, and has white boards and a lot of black ink all over them explaining the specialness of the edition. Of course, there may be other editions. 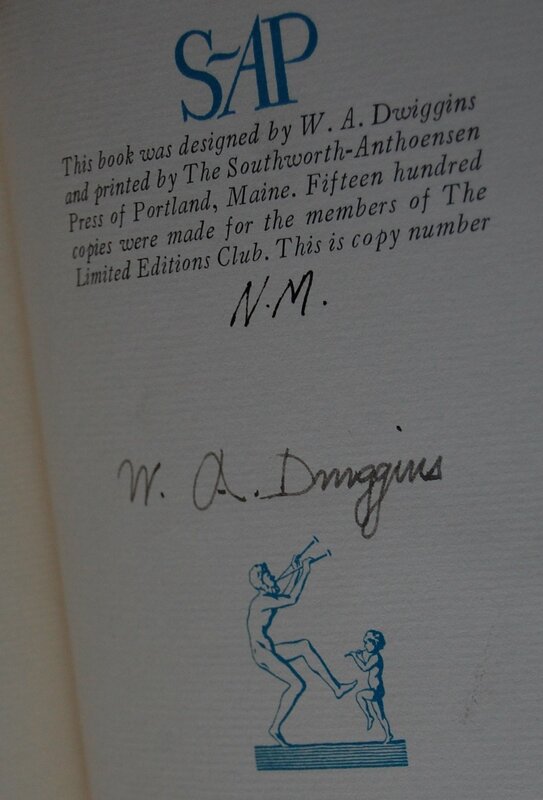 Does your title page say “Limited Editions Club” or “Heritage Press”? That’s the best indicator. Also, the signature page is in the last volume in the back of the book. Who knows, maybe you’re golden after all! 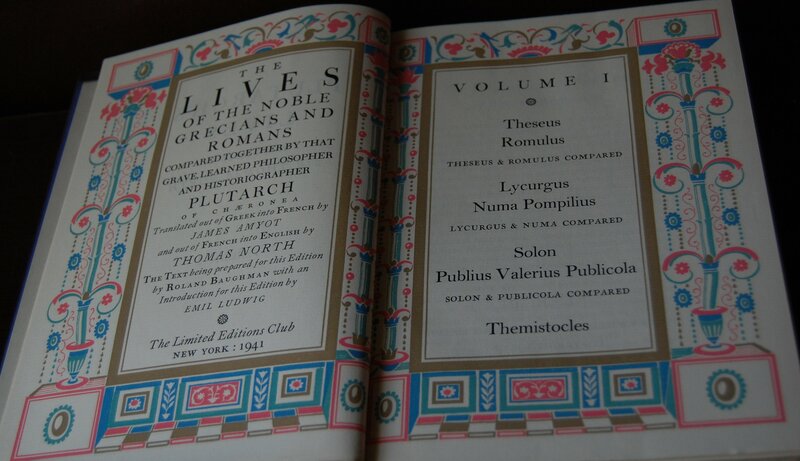 You are currently reading Limited Editions Club – Plutarch’s Lives (1941) at The George Macy Imagery.